With almost 50 computer labs across 21 buildings for a total of approximately 1,000 computers, the University of North Alabama provides students with access to the digital resources they need to succeed in higher education. Many of the campus labs include discipline-specific software in addition to the general-purpose software included on all lab computers (namely Adobe Acrobat DC, Microsoft Office, SPSS, and a selection of browsers). 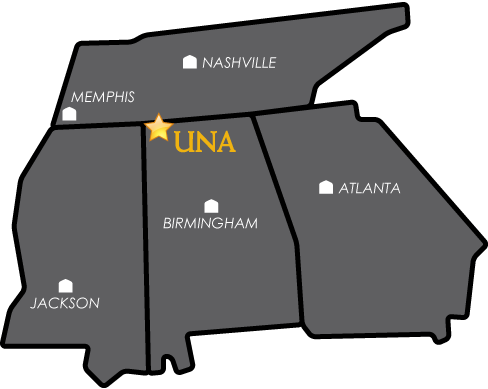 UNA also provides free Microsoft Office to enrolled students for their personal devices.